An Ondo state High Court sitting in Akure has sentenced Seidu Adeyemi to death by hanging. He got the sentence for killing Khadijat Oluboyo, daughter of former deputy governor of Ondo State. Khadijat was a final-year student of the Adekunle Ajasin University, AAU, Akugba-Akoko. 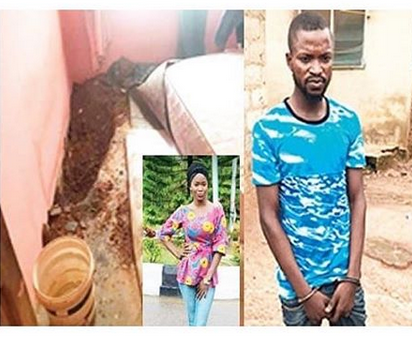 She was found dead inside the room of Adeyemi at his residence in Oke Aro area of Akure on July 2, 2018. The post Court Passes Sentence on Killer of Ex-Ondo Deputy Governor’s Daughter, Khadijat appeared first on LATEST NIGERIAN NEWS BREAKING HEADLINES NEWSPAPERS.